If you’re looking for a good quality treadmill and want to make sure you have the inside scoop on the best features such as a folding treadmill, performance, reliability, warranty, and a whole lot more, then you’re in the right place. 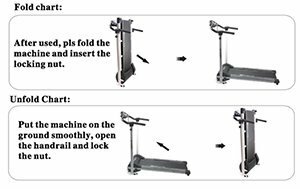 You’ll find all of that information and more right here, so you can find out if this Motorized Electric Treadmill by Hi-Performance is the right treadmill fitness equipment for you? 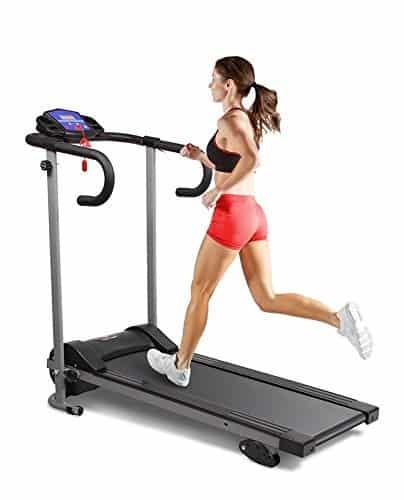 If you want a good treadmill with a quality treadmill belt that lets you just get on and go then this one is a great option for you. It has three programs already prepared so you can just push a button and get started, which is going to save you time and effort trying to figure out your own routine. Each setting is easy to get to with a simple button and if you do want to set your own speed you can easily do that as well. You just have to hit the buttons on the machine and it will adjust to your preferred settings just like that. The machine keeps track of your speed, distance, and time so you always know what you’re doing but it doesn’t allow you to see all of these things at the same time, which is one of the drawbacks. You have to scroll through the different numbers to see what you’re doing. This Hi-Performance treadmill can be a little bit noisy, as it's a little difficult to lay entirely level on a hard floor, causing a little bit of bumping as you go. If you don’t stay directly in the center of the treadmill it can also cause some noise as it’s easy to hit the sides of the unit. The maximum speed on this unit is 10 km/h, which can be a little slow for those who want to run a lot, but works well for beginners or those who just want a little bit of a workout. It has several speed settings but has only a 1 HP motor. If you’re looking for a lot of incline this isn’t where you want to be. However, if you want something that can adjust just a little for some resistance you’ll be able to do it here. The feet are able to be moved slightly so it creates a small amount of incline, but this must be done manually and only works for a few inches, not a large incline like some other units. The ‘track’ you’re going to run on is approximately 101 cm long by about 34 cm across. This means you’ll have an ok size running space, but for those who are tall or those who like to run fast—this may not be the ideal surface size for you. It can get a little tight and you might find yourself up on the sides a little more than you like. The overall unit is approximately 135 cm long by 64 cm wide to provide a smaller profile that’s easy to use in small spaces. It's 127 cm tall to the handles, which is going to give you a bit more support when you’re trying to move more quickly. When you fold it up you have about 59 cm in length by a height of 127 cm and width 64 centimeters. At 28 kg it is light for a treadmill, and easy to move around when you’re not using it or to fold up when you don’t need it or when you need the added space around the flat. What makes it even easier is that it has its own wheels to slide around wherever you want. Delivery was actually very quick, and since the machine is very light (for a treadmill) you won’t have a problem getting it into the house. When it’s in the box it can be a little bit awkward to move but once taken out it’s easy to wheel where you want it to go. The assembly is actually quite simple as well because the unit comes assembled except for the handles that you install yourself. This can be a little bit complicated because the instructions aren’t as clear as they could be but it’s still not too difficult to figure them out. When you’ve gotten the entire thing put together you can unfold it and refold it with very few problems. You’ll be able to store it wherever you want when this happens. For the best performance, the maximum weight for the user is 110 kg or 17.3 st. IF your slightly heavier and only plan to walk then you may be ok. This treadmill is a budget option that will provide you with a small frame and low price. It’s not designed for those who are more dedicated to their exercise, want more features, or are are taller heavier than most. 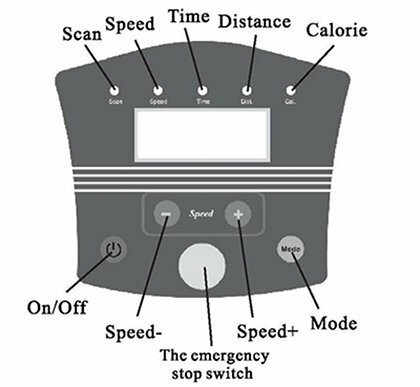 If you’re looking for something that has programmable options or pulse monitor this is not the treadmill for you, but it will help you keep track of the more basic information like your time, distance and even calories burned. Generally priced at the low-end of the market, this Hi-Performance treadmill has a good basic feature set and serves as a reasonable choice for those who want just the basics at a cheaper price. If you’re looking for something with a lot of power and features, you won’t really find it with this one, but if you’re looking to get started running on a treadmill or you’re looking for something that just keeps track of the basic information it can be a good investment. It’s also small for those who don’t have a lot of space available and light weight and easy to move.